Sy Parrish is a complex character. 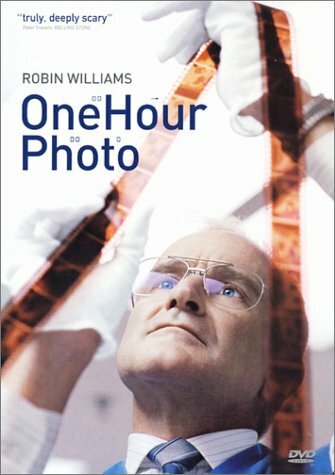 He’s the protagonist of the narrative One Hour Photo; however, he’s also the antihero. He’s not the usual dashing, smooth, charismatic type of person we usually associate with being the main character that rives a narrative. Sy is shy, awkward, and a loner, but that doesn’t make him a bad person. We begin to see Sy differently when we factor in just how obsessive his behavior is in regards to a particular customer and her family whose photos he has been developing for years. He has created in his mind a kind of family link where he is Uncle Sy. He has literally and photographically watched the kid grow up. He knows intimate details about this family due to the photos he has developed over those years. His delusions are harmless as he makes no efforts to instill himself in their lives in any meaningful way. His greatest transgression is that he makes copies of their photos for himself which is an egregious invasion of their privacy, but he doesn’t use the photos to harm them in any way. He just puts them up on his wall. Extremely creepy, but ultimate benign. All that changes when he gets his hands on photos of the husband with another woman. For Sy, that’s a game changer, but he doesn’t really go off the rails until his boss fires him for not being able to account for all the copies of photos he’s been making. There’s a scene where he’s watching the kid play soccer, just like an uncle would do. When Sy offers the kid a toy he had seen him looking at in the store, there are mixed emotions. Is this a sad, lonely man trying to make a connection, even if it’s a little inappropriate? Or is this a child molester stalker grooming his victim? Sy’s fantasy life becomes shattered at the husband’s infidelity and it sparks him to take action. Sy is the narrator of this story and it unfolds in flashback after an initial vague scene after Sy’s arrest for doing something to the husband. The power of the antihero is that he’s a paradox who defies both authority and our expectations. We want to be right about this creepy guy. We want to know that people like Sy are bad and should be locked up, but this narrative, while setting us up the whole time to feel exactly that, pulls the rug out from under us in the end and it’s a pleasant surprise. After all, people don’t become the way Sy is by accident. They have their own stories to tell. And they aren’t usually pretty ones. Not the kind of person you'd expect to be the hero.